Confused about what to do with it now that you've grown it? Here are a few easy steps and ideas on how to tame the unruly face fur and keep it healthy and happy. Like the hair on your head and the scalp, your beard and skin need to be cleaned and moisturised regularly. Generally, it's recommended to not wash beards more than 3 times a week using either a "beard shampoo" or a very mild hair shampoo. Be sure to fully rinse the product out of the beard as the residue may clog up the skin and either dry it out and cause beard "dandruff" or a breakout. (Neither of which are very attractive.) Now that you have a nice clean beard, just pat it dry with a towel and run a wide-toothed comb through it to remove any tangles or knots. Take your time and try not to tug them out too aggressively. Minimize the hairdryer use as well, but if you must, turn the heat down and use it sparingly. Now that your beard is all sparkly clean, it's time to put something on your beard to help keep your beard and the skin healthy. Beard oil is the easiest way to help maintain your whiskers, and skin. Generally, you just add an appropriate amount to your hands and rub it in all the way down to the skin. Make sure you get a nice even coverage. Once applied again comb it through and then finish with a boars hair beard brush for a nice even shiny look. Alternatively or in addition to the oil you can use a "beard balm or salve". Beard balms are great as they have the added benefit of being a styling product as well. Apply your beard balm to the palm of your hand and rub them together to melt the wax, then as with the oil apply it directly to the beard and all the way down to the skin below. Comb it out and finish with a beard brush and style it as you desire. Look for beard products that are made from natural products and have Vitamin E added. Vitamin E is essential for healthy skin and hair. Your barber is the best person to see in regards to helping you on your bearded journey. 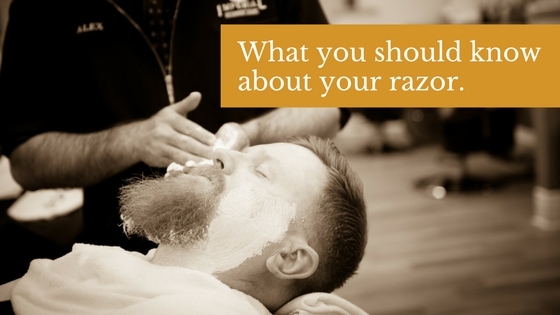 He/she will be able to trim, shape and style it to maximize your beards’ potential. 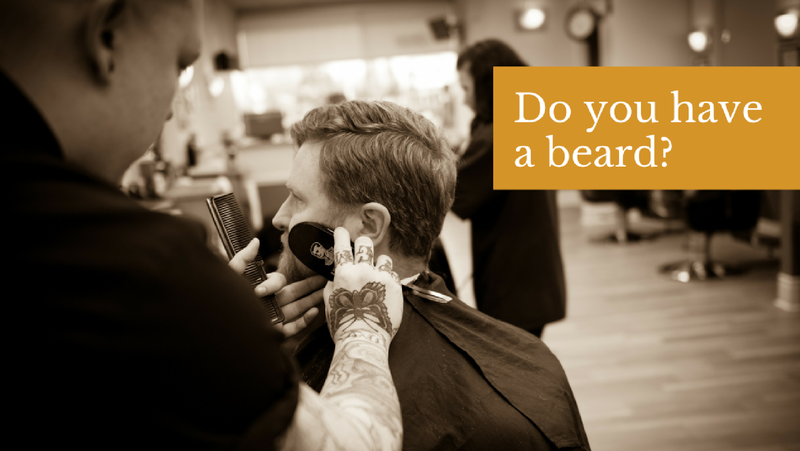 Your barber is there to help, and they will only be too happy to pass on advice so don't be shy to ask questions about your beard care. Like all things in life, everyone will modify these very general outlines to their own effect. Some of you will not need to wash their beard as often or you may need to wash it more. These are not hard and fast rules so take it as a starting point to help YOU decide what works best. Once upon a time, men could only get a reasonable close shave by visiting a barber. Achieving a close shave at home was challenging due to the lack of razor technology. The invention of the stainless steel razor blade with the rechargeable safety razor was a great tool that could be used effectively at home. With the development of the safety razor, and due to a straight razor requiring multiple sharpening sessions during a shave, it could have been thought that a straight razor would never be able to meet the sharpness of a razor blade. However, despite this new way of thinking, the safety razor still didn't prevent nicks and razor burn, especially for an inexperienced shaver. While it's worth it, practice was and still remains the only way to achieve an amazingly close shave. In an effort to reduce the problems of shaving at home and to capitalize on razor sales, developers realized that they could create a plastic disposable safety razor that controlled the pressure and the angle of the blade. It was far more convenient and safe. It was so safe that it eliminated most problems to the skin as well as the constant blade changing. 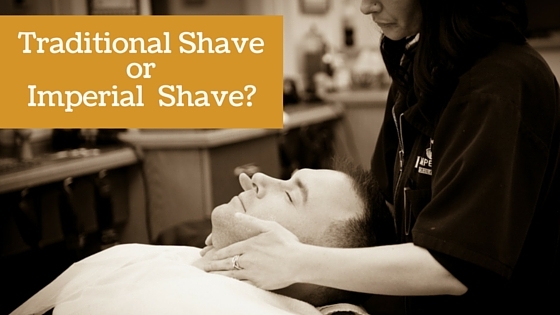 Unfortunately, it was impossible to have it both ways and still achieve a close shave. It worked very well for a while, but over time steel became over-recycled which diminished the quality and sharpness of the blades. People also realized that not all razor blades were equally as sharp. Since this could only be known at the time of use, it made common sense to add more blades to the razor knowing that only one blade had to be sharp. The downside was the extra cost to the consumer. Imperial Barber Shop sells safety razors similar to the ones used long ago. Not only do we understand the value of a close shave, but it is also economical and encourages us to be environmentally responsible. With some practice, the closest shave at home is possible requiring only one razor blade. It's easy...if you find that the blade isn't sharp, simply replace it for another. Head lice are tiny, wingless parasitic insects that love human hair and feed on blood drawn from the scalp. The adult louse is about the size of a sesame seed, has six legs, and is tan to grayish-white in colour. Nits are lice eggs which are hard to see and are often confused with dandruff. Nits are found firmly attached to the hair shaft close to the scalp. They are oval and usually yellow to white. 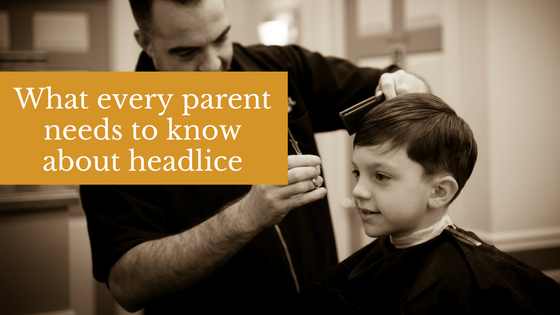 Head lice are most frequently located on the scalp behind the ears, near the neckline and at the back of the head. It is estimated that one in every 10 children in school acquires head lice at some time. Lice have been around since the beginning of humanity. In fact, testing has determined that the human head louse has been a distinct human parasitic organism for over 70,000 years. Anyone who comes in close contact with someone who already has head lice, their contaminated clothing or other belongings, are at risk. It is easy to transmit head lice from one person to another. Preschool and elementary school children (3-10 years of age) are infected most often. Over-the-counter products such as RID and Nix use toxic chemicals such as Permethrin and Pyrethrum to poison and kill lice. Consult you doctor for advice. Manual methods are the most effective for destroying lice. Lice may develop resistance to certain chemicals; however, they will never be able to resist being removed by hand, eliminating the risk of using chemicals that may harm children. Although lice sound dangerous, they are quite harmless (if caught early). Head lice in their prime, have proven to be an ongoing problem within the homes of families especially as we enter into the back-to-school season. It is important not only to clear your child’s head of lice, but also to wash household fabrics such as bedding and stuffed animals in hot water to kill the lice and their eggs. Please do not visit Barbershops or Hair Salons with this problem as it is a health and safety hazard with risk to others and a serious inconvenience to their business. The history of our iconic "Scully"
Commissioned at a young age in Her Majesty's Royal Navy at the height of British Imperial reign, "Scully" served with distinction as an apprentice surgeon. He traveled the world, immersed himself in local cultures, befriended officers and enlisted men, gentlemen and rogues. He had a surgeons steady hand and an eye for detail but he could not stand the sight of blood and was discharged. 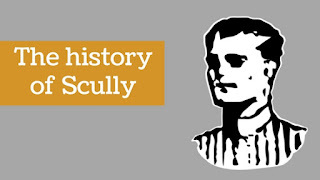 By fate or circumstance, Scully was posted to Bytown (Ottawa) and forced to work as a digger during the construction of the Rideau Canal. During this time he was surrounded by disheveled men with unruly hair and beards. Children were accustomed to their mothers placing porridge bowls on their heads and trimming around them. There had to be a better way. Determined to make a difference and improve the lives of his fellows, Scully set up a humble chair and diligently worked days and evenings. He did not rest until every last man looked his best. Having secured his reputation as an excellent Barber, confidante, and upstanding member of the community Scully retired at an old age. 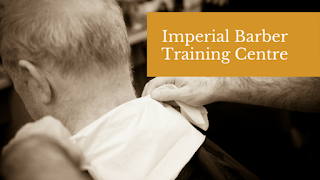 Today his legacy lives on with our new generation of Barbers at Imperial.